In a world of information overload, shifting energy frequencies, transformation possibilities, the New Psychic Anatomy and Chakras are now ready for those who are aware of them. 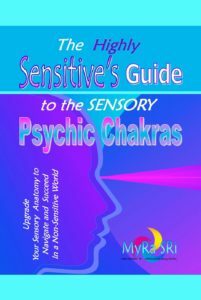 If you are looking to be mindful of your own journey and path, and wish to keep your intuitive and psychic channels clear, you can learn about them here in this Book. Available on Amazon, and at good online bookstores, you will find it a mine of information. Workshops have been conducted in Victoria and Queensland, and is now available in book form for those unable to attend in person. For further information, kindly contact Myra at admin@myrasri.com.